These pastel dinos are ready for some jungle fun. 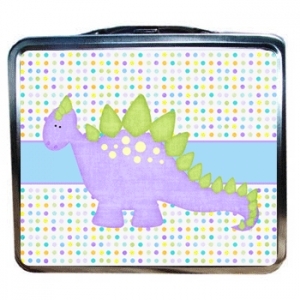 This adorable dinosaur design is ready for the cafeteria or a jungle adventure. 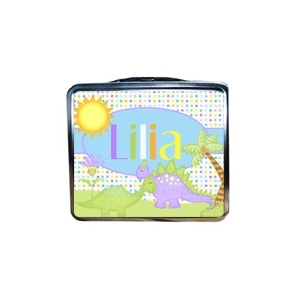 Your kids will love to keep hidden treasures, snacks or craft items inside.